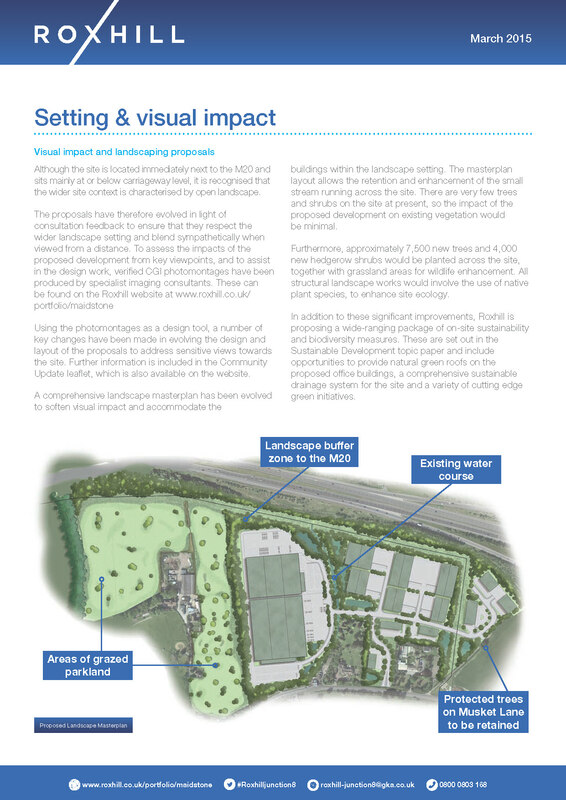 In 2013 Roxhill announced a multi-million pound investment in Maidstone by bringing forward proposals to develop a commercial business park on land at Woodcut Farm, by Junction 8 of the M20. 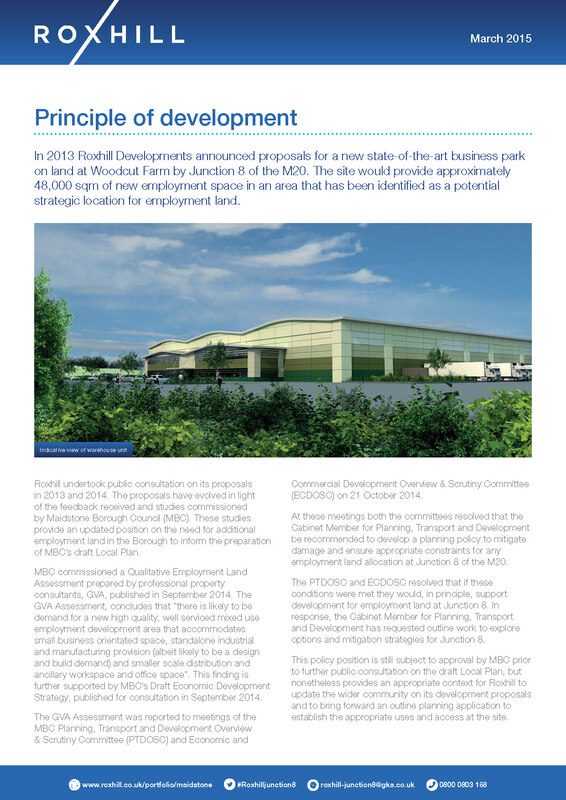 A reduction in the development’s total floor space from c.51,000 sq m to c.46,000 sq m of proposed employment space. A two-metre reduction in height of the two larger units from 14m to 12m at the roof eaves. 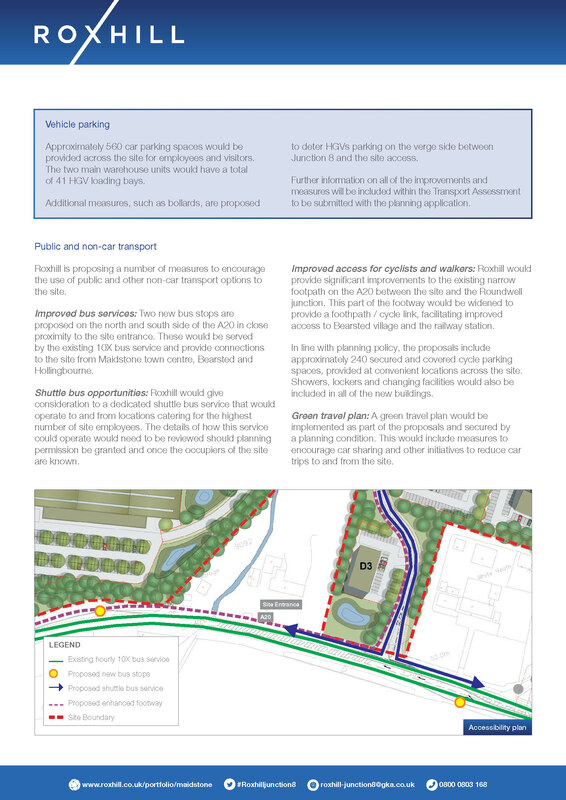 A revised layout, utilising the car parking areas to provide more space between the smaller warehouse buildings, creating more opportunities for landscaping within the site. A comprehensive landscape plan to soften and screen the development with approximately 7,500 new trees and 4,000 new hedgerow plants. 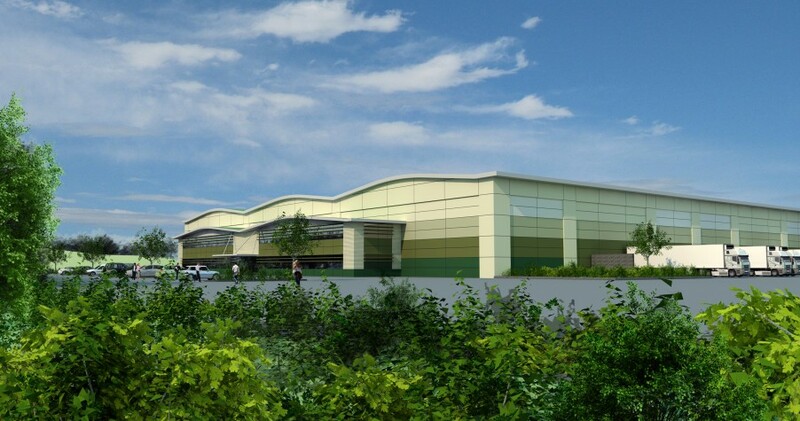 An appropriate green colour scheme to the walls and roofs, combined with barrel vaulted roofs to all warehouse units. 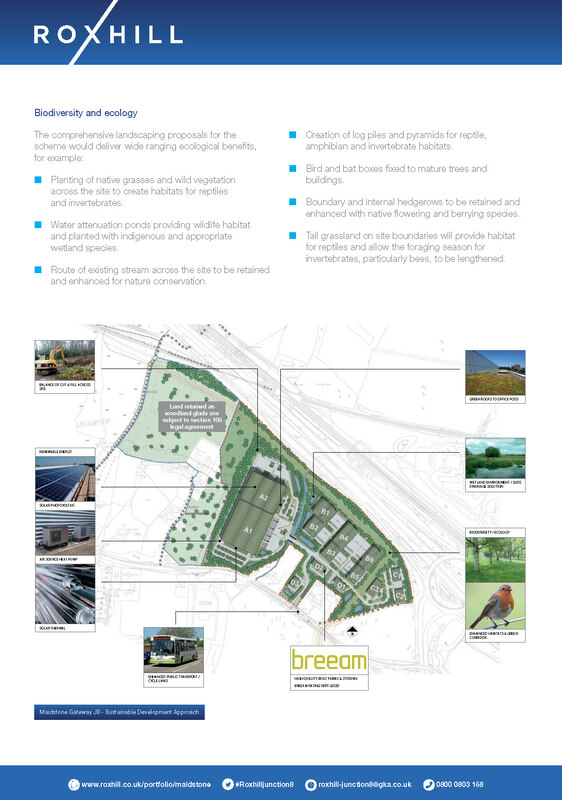 Gifting of a three hectare portion of the site to an appropriate local body, secured by a legal agreement. This would be in the north west corner and benefit from additional tree planting prior to its transfer. 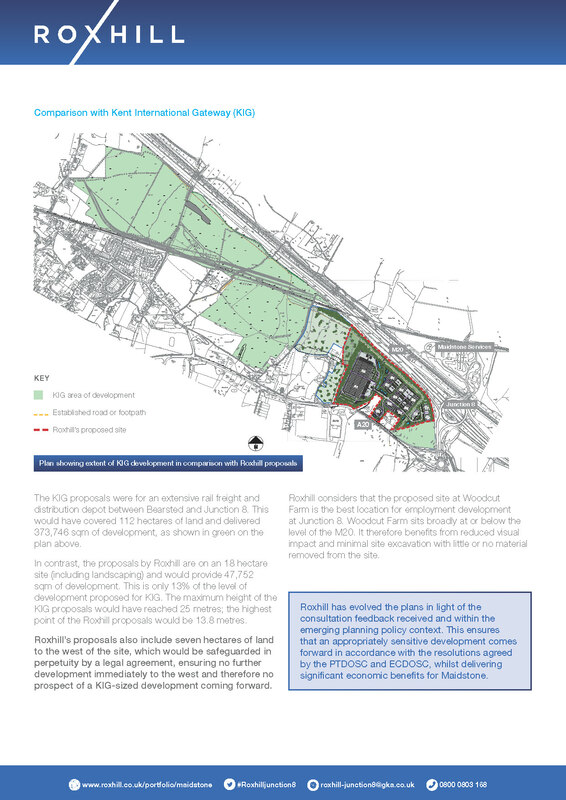 Seven hectares of land to the west of the site safeguarded in perpetuity by a legal agreement with Maidstone Borough Council, ensuring no further development to the west and therefore no prospect of a KIG-sized development coming forward. This would also benefit from additional native tree planting. 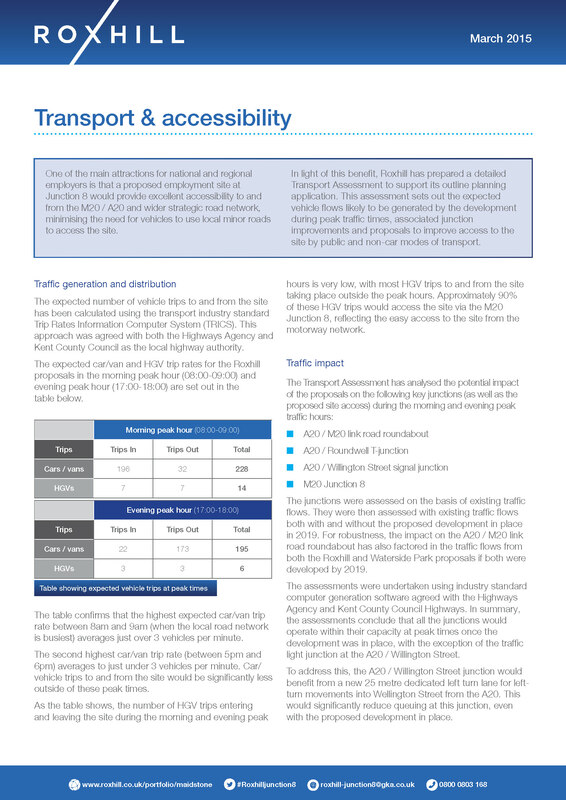 A series of measures to improve access to the site via non-car modes of transport. 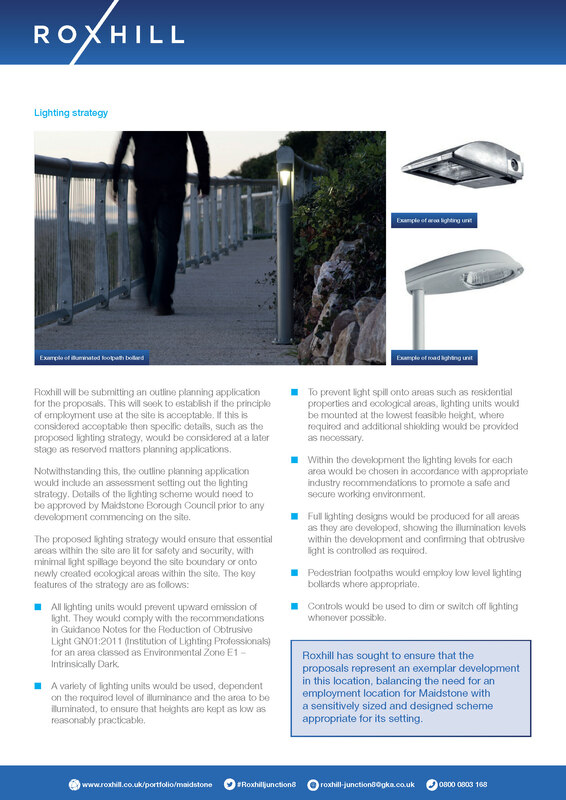 A series of scheme drawings and topic papers are available by clicking on the links. 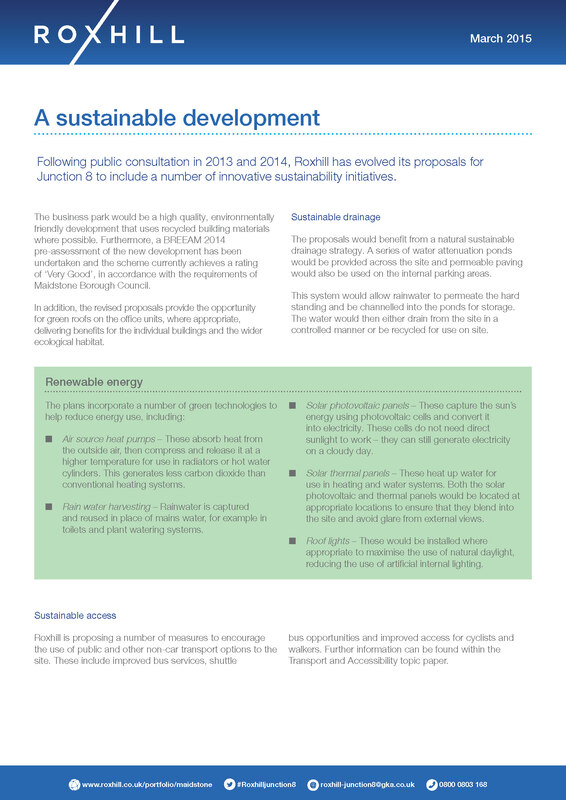 Further information on the planning application will be added in due course.